Make your own fabric photo canvas for a fraction of the price using photographs printed on MyFabricDesigns.com’s Linen Cotton Canvas. Choose the photo you want to use to create your DIY canvas and upload it to MyFabricDesigns.com. 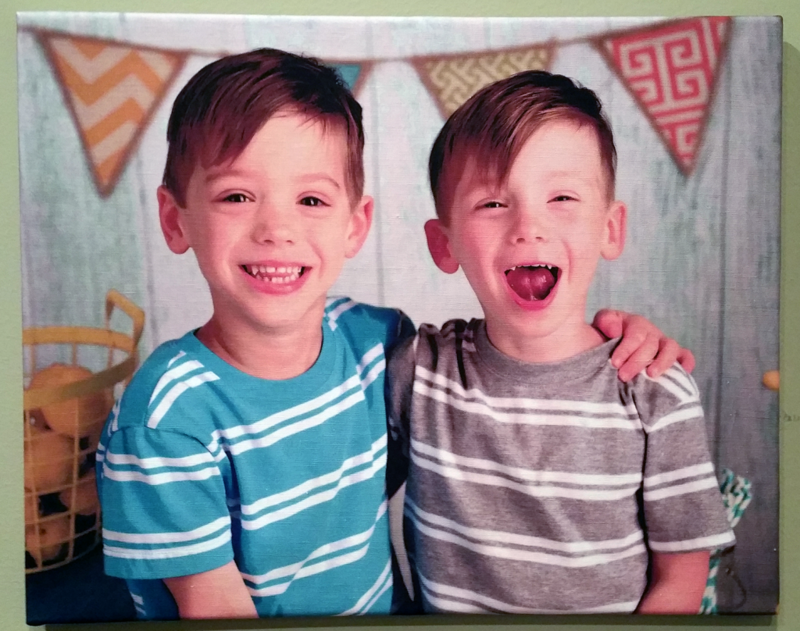 I choose this photo of my twin boys because my boy on the right, Griffin, thinks that every time they have their pictures taken together he is supposed to open his mouth. It makes me smile so I wanted to make this one into a canvas. 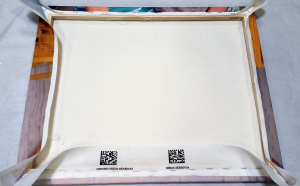 A fat quarter of Linen Cotton Canvas is the perfect size to create a finished 16×20 photo canvas and you should receive your printed fabric within 10 business days. When you receive your fabric lightly iron the backside of the fabric to release any wrinkles. Place a drop cloth down and lightly spray the top and sides of your blank canvas. 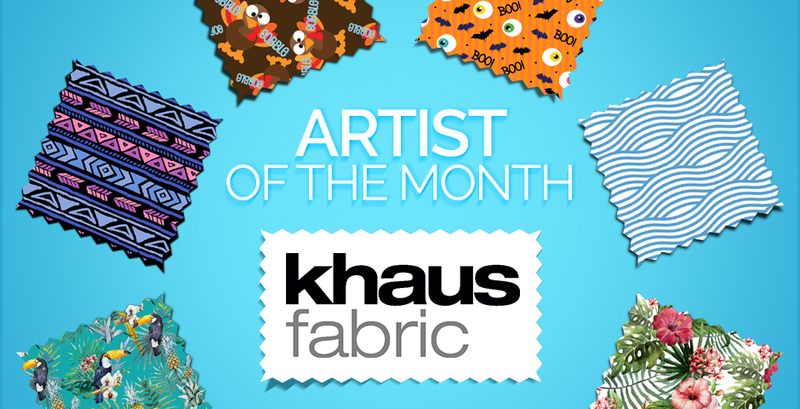 Place your printed fabric on top of the blank canvas and smooth out using your hands. Invert the canvas and the now glued fabric print. 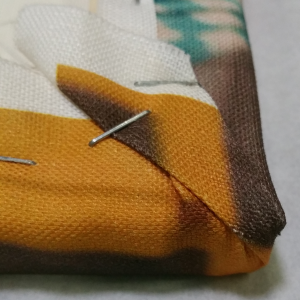 Make sure the fabric is pulled tightly, fold over to the back of the canvas and begin stapling. Staple all the way around all 4 sides of the canvas leaving the corners staple free. This is the tricky part – the corners. Canvas corners look best when the sides are flat without any creases. 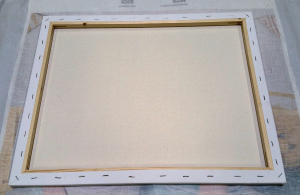 To achieve this we will tuck the fabric in to the top and bottom of the canvas frame. Using your index finger and your thumb pinch the fabric and fold over to the side (top or bottom). You should see a 45° angle start to appear. Once you see that angle, fold again and staple. Then tuck the other end of the corner into itself and staple again. While this is the trickiest part don’t sweat it. Check out some videos on YouTube and make sure you have a good fold before you commit to stapling. The most important thing to remember is to ask yourself “does this look good from the front view”. Nothing else really matters and don’t beat yourself up if your corners aren’t perfect. Mine aren’t and I still love this canvas. Trim any excess fabric from the around the staples. Using either Modge Podge or Scotch Guard you can cover your fabric to prevent any dust or other items from settling on it. This finishing step isn’t necessary but it will protect your canvas and help it to last longer. We had all the other craft supplies and so we spent a total of $12.75 on this project! That’s a HUGE savings over the canvases we saw online which were $10 just for shipping + the cost of the canvas. And here is the final product! 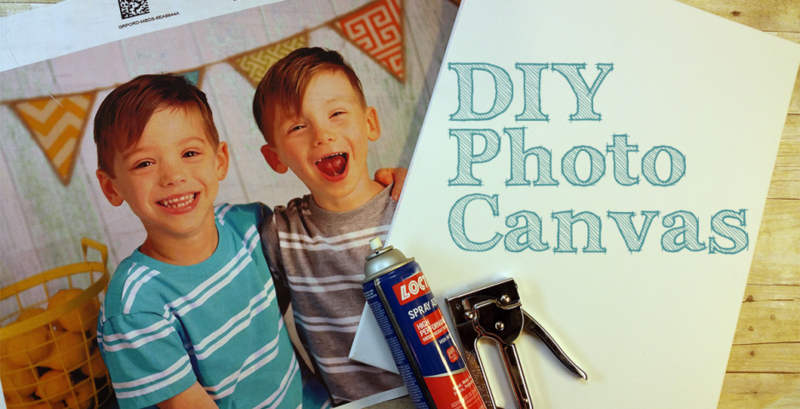 We hope you enjoyed this tutorial and we know you’ll love making your own canvases. Give it try and use coupon code: photo25 for 25% off your custom fabric order. 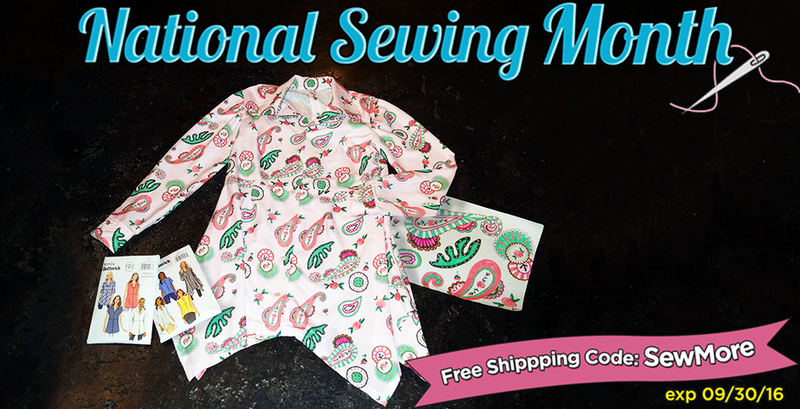 Don’t forget to tag your photos on Instagram with #mfdesigns so we can see what you’re making! I used a prefab canvas that was 16 x 20. I ordered my fabric in a fat quarter of our linen cotton canvas and that was the perfect size to wrap around the 16 x 20 canvas. 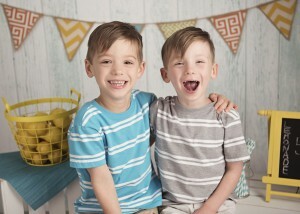 Your boys are adorable! As if you didn’t know that already. What a wonderfully simple gift project. Thanks for the idea. Thank you! We’ve already had a few people in the office make their own after they saw this one and theirs looks great also. 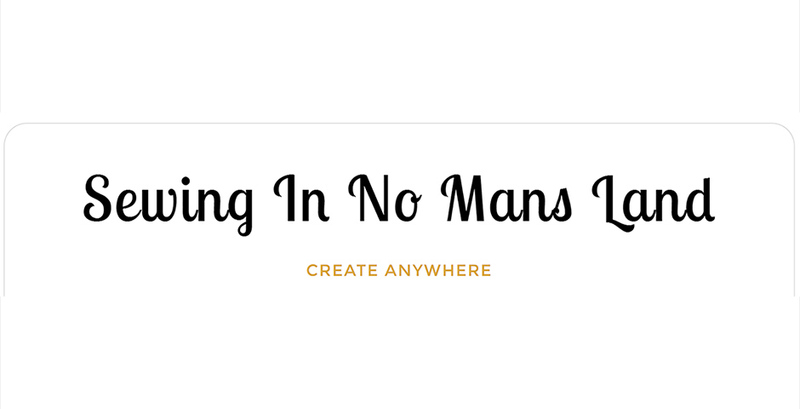 It really is an easy project! Can smaller sizes be done, such as 4×6 to be used in doing a memory quilt or the linen fabric to heavy for that purpose? We offer Swatches that are 5×7 or you can make a design whatever size you would like and have it centered on the fabric! The linen cotton canvas is sturdy but quite malleable to where you should be able to do smaller sizes.